Seeso, the NBC-powered comedy streaming service, has already introduced some surprisingly solid programming, but it got its first must-see hit with the launch of reality show spoof Bajillion Dollar Properties. The semi-improvised series follows the brokers at Platinum Realty, a group of narcissistic go-getters who are all vying for the attention of their boss, Paul F. Tompkins’ Dean Rosedragon. 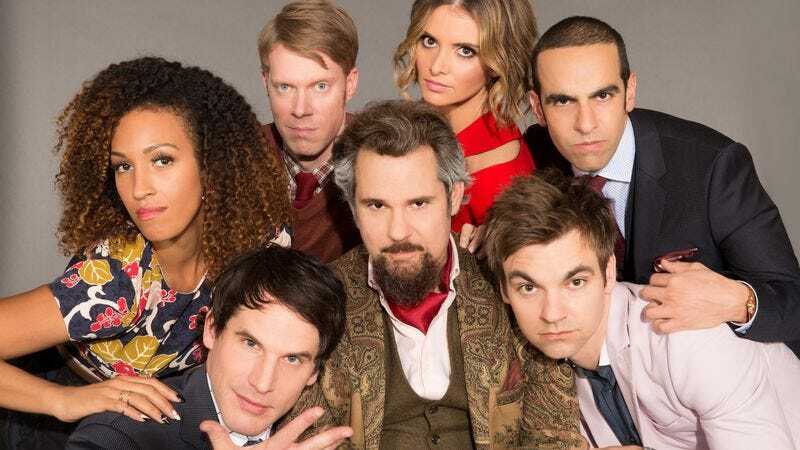 Now, Seeso has announced that it has picked up Bajillion Dollar Properties for another season, the first renewal for any of its shows. Not only does this mean we’ll get another season of wacky real estate drama featuring guest stars like Casey Wilson, Paul Rust, Patton Oswalt, Dave Foley, and Randall Park this fall, but also that Seeso is apparently doing well enough that NBC is planning to keep it around for at least a few more months. With so many streaming services competing for our attention these days, it’s good to know which ones you can count on to still be around for the foreseeable future. After all, nobody wants to waste their time getting too invested in the next Yahoo Screen. Anyway, new episodes of Bajillion Dollar Properties will continue to premiere on Seeso every Thursday until April 28, and you can see a preview of this week’s episode below.